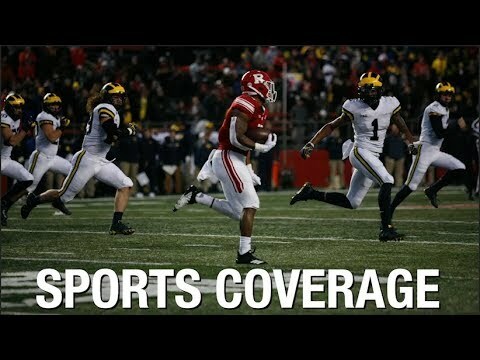 On a chilly afternoon that quickly turned into an even colder night at HighPoint.com Stadium in Piscataway, N.J., the only thing heating up was the Wolverines. Stocks of Rutgers players after their performance against Wisconsin last weekend and ahead of a big matchup against No. 4 Michigan this weekend at HighPoint.com Stadium. The Knights saw solid performances by multiple players in the game, and the young group is slowly starting to mesh together — and it is starting to show some good on-field results. Rutgers put up a great defensive effort in the first half, but couldn't get the offense going until the fourth quarter. Despite big games from Raheem Blackshear and Saquan Hampton, the Knights fell for the eighth straight game. Rutgers looks to get past its midweek headlines and focus on the task at hand. The Knights travel to Madison to face a struggling Wisconsin team that is looking for answers. Wisconsin has been as high as No. 4 in the nation this season, but now finds itself on the outside looking in at the AP top-25 rankings after a rough 5-3 start to the season. Freshman running back Isaih Pacheco and head coach Chris Ash are on the rise, while offensive coordinator John McNulty and freshman wide receiver Eddie Lewis see their stocks fall after the Northwestern loss.